No, it’s not the Enigma cipher or countdown of a space shuttle launch as you may wonder. 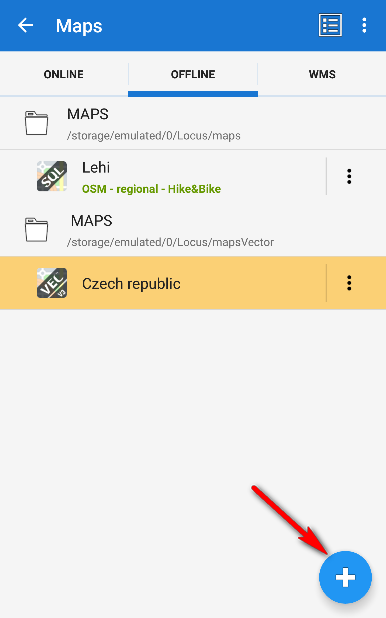 A bit different sky ripper, Locus Map Free/Pro version 3.9.0, is ready in Google Play hangar, fuel tanks pressurized. And what is loaded in its cargo space? Have you heard about Munzee yet? 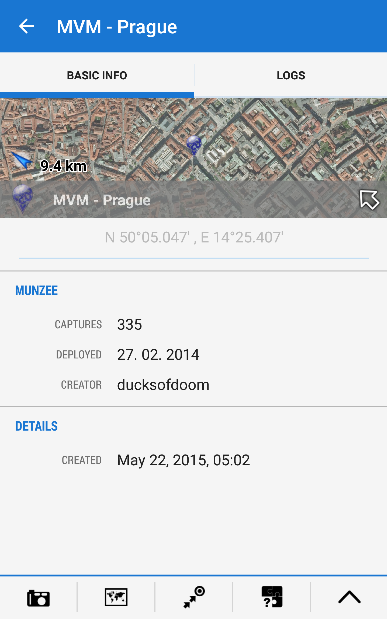 This global scavenger hunt is a GPS game of the next generation. Munzees are tiny QR codes hidden all over the World on stickers placed anywhere you can imagine. You just have to find them and capture them with your phone. For this you collect points and compete with other Munzeers. You need nothing more than your smart phone and Munzee account to access Munzee database. 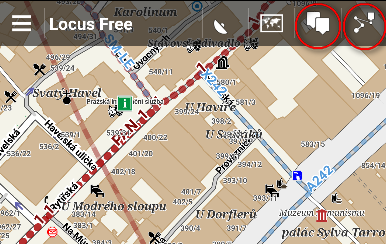 And Locus Map with brand new Munzee Add-On installed. 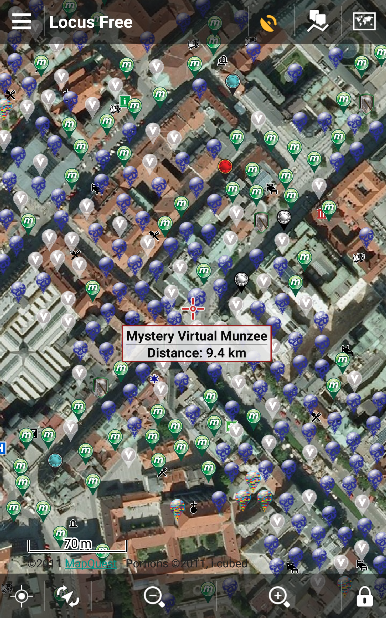 It displays Munzees on your favorite map, navigates or guides you to them, shows logs and profiles of other Munzee hunters. You can even comment on Munzees to keep other hunters informed. Have you just accomplished your training goal? Or just had a nice bike ride you’d like to share with your friends on Facebook? 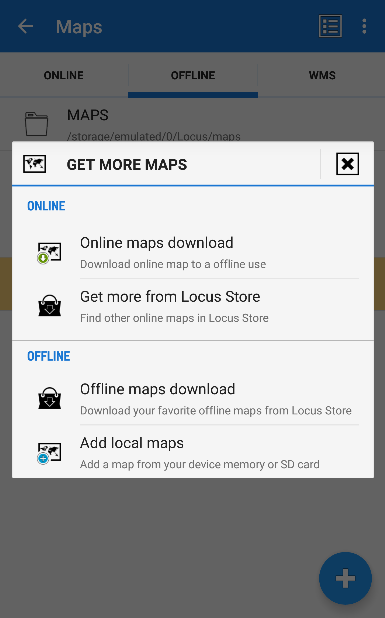 Locus Map’s got even more social now so it’s finally possible. 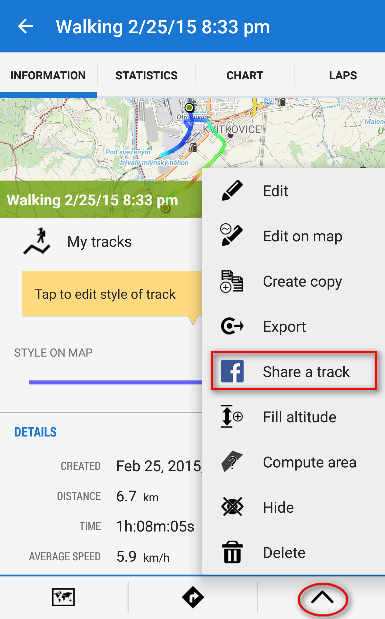 You will find the necessary button in the track detail menu – add your Facebook login and post tracks on your wall! You know Menion… He loves his work and he loves you, our dear users, so he sleeps 4 hours a day to meet all your wishes and needs. Full description of his work for the past month can be found in Menu > Information > News. And it’s a really long list! 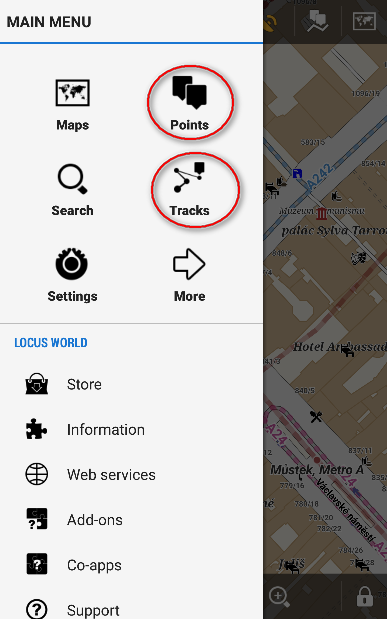 Nevertheless, don’t worry and don’t hesitate to tell us everything you want to improve, change, remove or fix so that Locus Map can remain on the pedestal of Android outdoor map apps. Es funktioniert nicht track aufzeichnen mit fotopunkt und dann als klz in google eonspielen.man sieht keine fotos. Well, that seems great! Im glad to see you’re active and work on improvements. Thank you Locus. Thanks a lot! We’ll do our best to keep you satisfied.